Night courier who is allergic to the sun is asked to pick up the daughter of a client at the airport and ends up spending time together as a romance blooms. Sweet little romance that doesn't follow your typical paths from beginning to end is definitely worth your time. 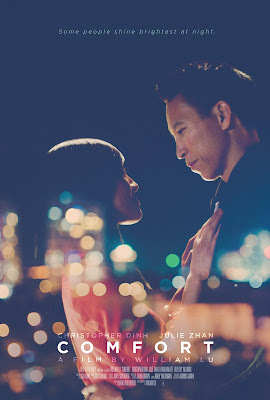 Credit the two leads Chris Dinh and Julie Zhan who lift this up from the heap of inde romances. The couple keep it believable all along the way even when some of the characters around them become a little silly. I was not going to look at this but I decided to give it a gow when an rain storm became an ice storm and scuttled my outside plans. As result of mother nature interference I ended up seeing a lovely little film that I highly recommend to anyone looking for a solid romance.